"When I Look Out My Window"
Denny Jump (Bellevue, WA, United States) on 11 January 2018 in Landscape & Rural. If you are old enough to remember the singer "Donovan, you may remember his song "Season of the Witch" where a few lines of the lyrics talk about looking out (and in) his window........Well, that's the song that Came to my mind when I was indeed LOOKING OUT this window at Debbie's house (Barbara's sister). .....It was Christmas day and we had just received a 3-4 inch snow storm...overnight. It was gorgeous. And just for fun - here are a few lines from the old boy (Donovan) who still seems to be bouncing around with a cool Facebook page and all....! Partial Lyrics from Donovan's composition "Season of The Witch"
It looks a lot like where I live in Elora, and is indeed beautiful. I like your homage to Donovan, also ! Nature, Music, Beauty... they're all part of the same good energy. Beautiful mood ! and yes I remember the singer Donovan, love him ! A beautiful magic forest! What a treat. 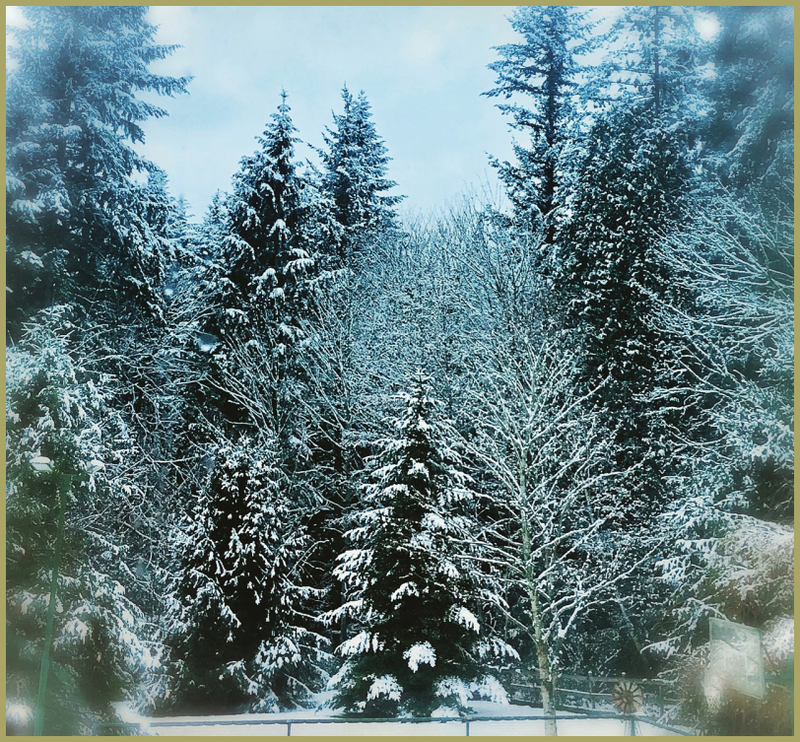 A beautiful winterscape image with these snow-ladden evergreens!! I wish I had a view like this once in a while at least ... I'm sure you'll be envied by many! A gorgeous view and beautiful winter scene! I remember the song well and had a listen to it on youtube not long ago. Indeed, it is always magical to look out the window and find a blanket of whiteness on the ground. A gift from mother nature. Wonderful composition and colors .I am old enough to remember Donovan and " catch the wind " in french Richard Anthony sang "Autant chercher à retenir le vent " !